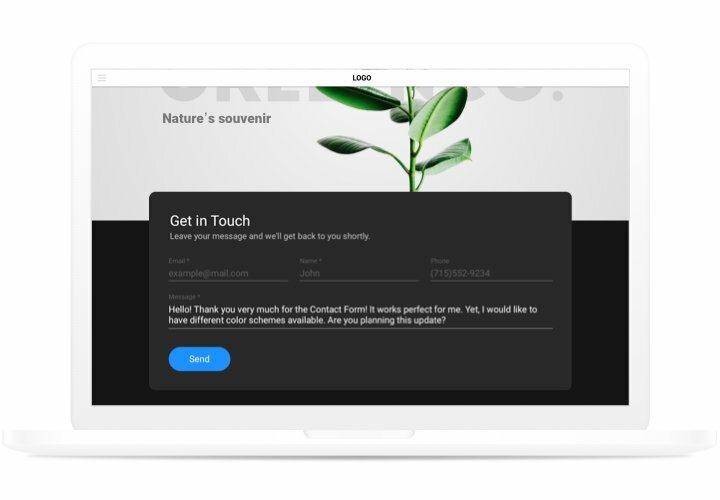 Our Webnode contact us form plugin helps with any appeared requirements in getting reviews and orders from clients of your website. 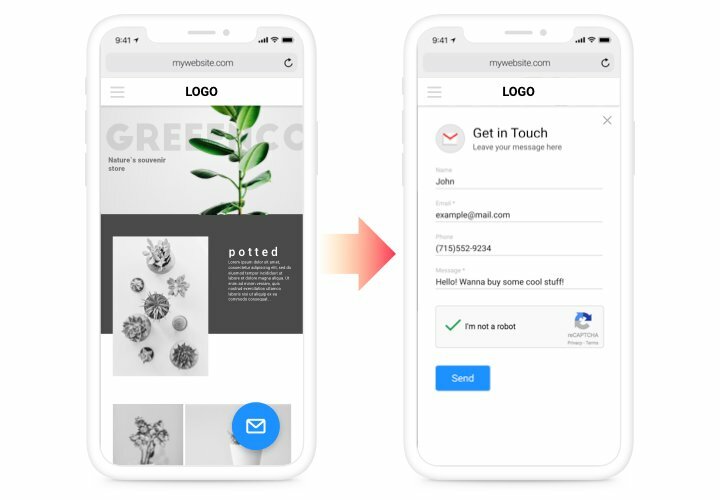 Show the needed elements for filling, find your preferable template and customize the interface, to inspire your users to make more order from your site.Get reviews, take orders and write answers to the messages of the clients of your site! Up to x2 to the quantity of enquiries from the website. Settle all kinds of troubles and uncertainties of your customers, and don’t allow them to get away from the website. Use our convenient instrument for building useful interaction with clients. Perceive your customers better. Questions, disbelieves and other opinions about your offers or service is worthless information for you to see the wishes of your site audience and successfully organize a plan of potential extension of your business. 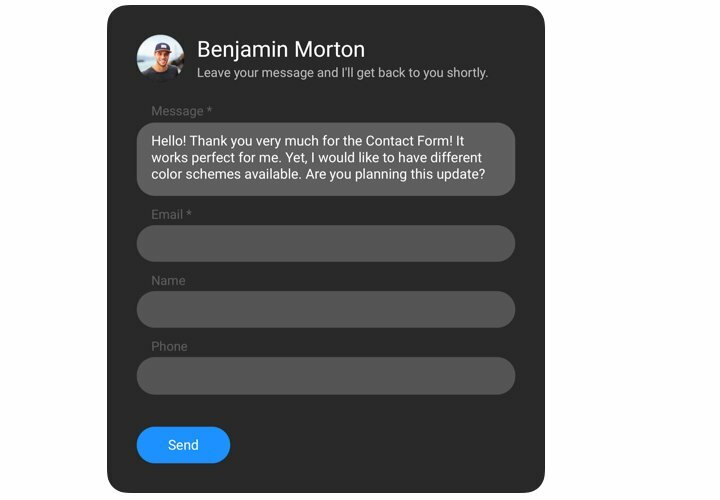 Develop your user communication. 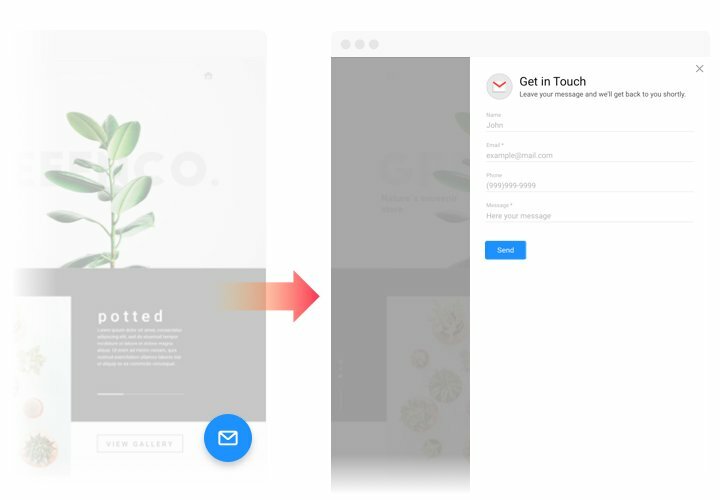 Thanks to convenient layouts, adjustable design and personalized «Thanks You» notifications, you will demonstrate to your users their value for your business. Apply tutorial by our team, to add contact plugin to your website. You will not need competence in web development and full setup time will not take more than about 90 seconds. 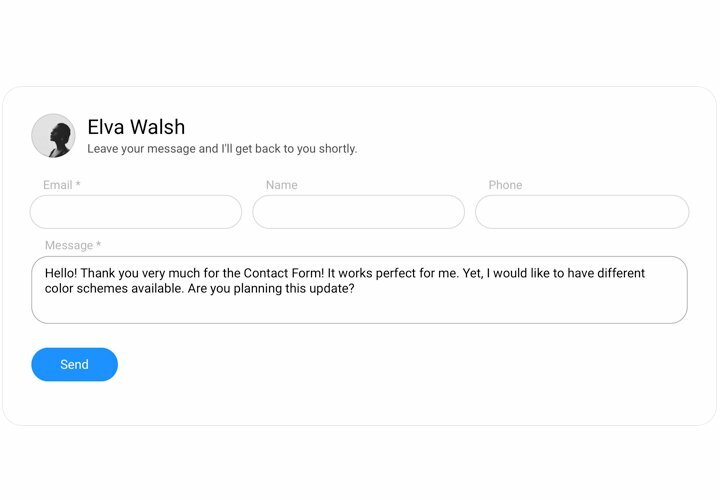 Design your personalized Contact Form. With the help of our free demo, shape a plugin with desired layout and settings. Receive the code for setting up the plugin . After widget setting, obtain the code for the form plugin from the popup window on Elfsight Apps. Reveal the plugin on Webnode website. Embed the plugin on the required spot of the website and apply the edits. The integrating is successful!. Visit your site, to check your work. While following the instruction or installing your form you experience any problems? 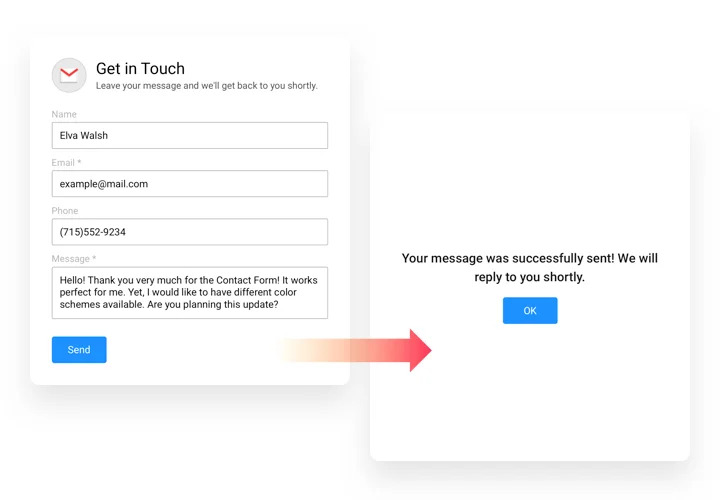 You can to try a detailed instruction «How to insert Contact form on a Webnode website» and give a try to add it again yourself or get in touch with Elfsight support center with full explanation of your issue, and our team will be there to help. Test Webnode Contact Form here and right now!